The food at Ching’s used to be consistency outstanding, each dish a balance of flavors and textures. Over the years, the perfection we used to see in each and every dish can falter in certain preparations. When the kitchen is on, the food is spectacular, but when they miss, well, it is just a ordinary Asian-inspired plate of food. Eating at Ching’s can vary from and incredibly pleasant experience, to an evening where you question why you went. There are times when the staff treats you properly, they seat you, take your order, and serve your food. There are, unfortunately, other times, when the staff may ask you to move to accommodate a larger party, even if you are between courses; and this may happen more than once on a given meal. I also learned a long time ago to NEVER order all the food at once since the timing from the kitchen may cause the server to deliver your order in a haphazard manner, sometimes all at once, sometimes the appetizers after the entrees. As a result, table tops may get crowded quickly if certain dishes are ordered and delivered simultaneously since they require a good deal of geography. Reservations? Sometimes they matter and sometimes they just seat you and others as they please. Sesame Chicken – Excellent dish, great flavors, and a good coating to the chicken which presented a much better flavor than the chicken in the chow fun. Overall the food is hit or miss, sometimes outstanding, and other times not very good. As far as eating in the restaurant, there are times when it is just not worth the aggravation. I now usually order a take out and enjoy a relaxing meal at home at my own pace. 2013 was an amazing year for food lovers in Fairfield County…several great restaurants opened, several chefs moved and are now creating incredible meals in new locations, several more restaurants announced their openings and I cannot wait. During the year I enjoyed hundreds of courses in Connecticut and on my travels. With all of those flavors and textures, it was an incredibly difficult task in choosing my five favorite Fairfield County dishes for 2013. In fact, I did not since I couldn’t whittle the last one from this list, so it is six, plus three special categories. elm – The “Tagliatelli Neri” is over the top umami heaven. The dish begins with hand-made cuttlefish ink pasta topped with Peekeytoe crab, sea urchin, sea urchin butter, Calabrian chili, garlic bread crumbs and brightened with Meyer lemon juice and oil. The flavors dance on the palate and textures from the silky pasta to the crunchy garlic bread crumbs, are like none I experienced anywhere else. Match – “Pho” is an incredible Vietnamese soup that Fairfield County needs to embrace. The broth is made from oxtails, ginger, onion, cinnamon, and star anise. When served, thinly sliced rib eye is added and cooked and then finished with cilantro, noodles and Sriracha. This dish is absolutely magical in its complexity of flavors and textures. South End – “Nonna’s Meatballs” are comprised of pork and veal (that’s right, no beef) that are lightly mixed with tons of sheep’s milk ricotta and Parmesan cheese, then lightly fried and cooked in a crushed tomato sauce. 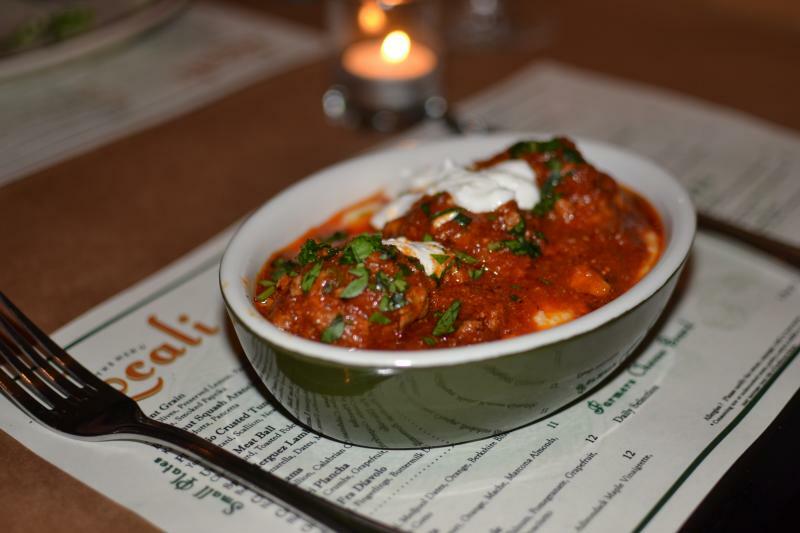 The soft and tender texture of South End’s meatballs separates them from all of the others…they are fantastic. Nola –The “Poached Lobster & Cornbread Waffle” is one of my favorite combinations in the area with butter-poached lobster, Queso Fresco cheese, topped with a brown sauce served with sweet, crispy waffles. The outstanding flavors are complemented by the best brown sauce north of Mr. B’s Bistro in the French Quarter. Mama’s Boy – The “Shrimp and Grits” just keep getting better. Perfectly prepared U15 white shrimp, red peppers, scallions, and Tasso sit atop Tennessee sourced grits and finished with a simple garlic butter, white wine, and cream sauce. The grits are my favorite and when paired with the shrimp create an outstanding dish. Bar Sugo – The “Spaghetti Neri” includes squid ink pasta, smoked tomato sauce, shrimp, bread crumbs and Bottarga. The pasta and shrimp are complemented by the smokiness and spiciness of the tomato sauce, but the entire presentation is elevated by the Bottarga, which adds a delightful brininess to the dish. Top Hamburger – The Whelk – Over 70 hamburgers comprised my 2013 Hamburger search and The Whelk’s hamburger was my favorite. Full of rich flavor, encased in a great bun and topped with some great cheese, onions and house made pickles. Top Bolognese – Cava Wine Bar – My colleague at CTBites, Lou Gorfain, and I scoured lower Fairfield County for our Bolognese round-up and my personal favorite was Cava’s Gnocchi with Bolognese. What set this apart from the others was the soft, ricotta gnocchi that were pillows of deliciousness. Top Pizza – Locali – This newcomer uses age-old pizza-making techniques, San Marzano DOP tomatoes and house made mozzarella. 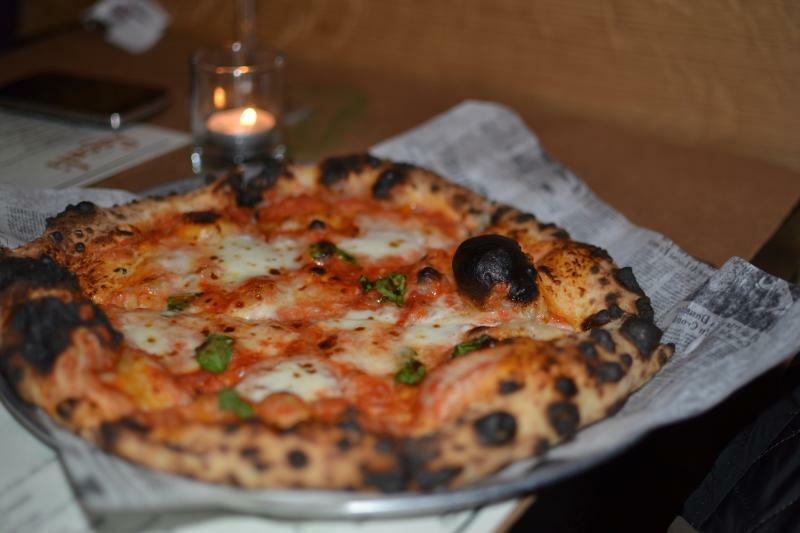 The flavors, texture and the perfect amount of char from the wood burning oven produce some of the best Neapolitan pizza this side of the Campo dei Fiori. 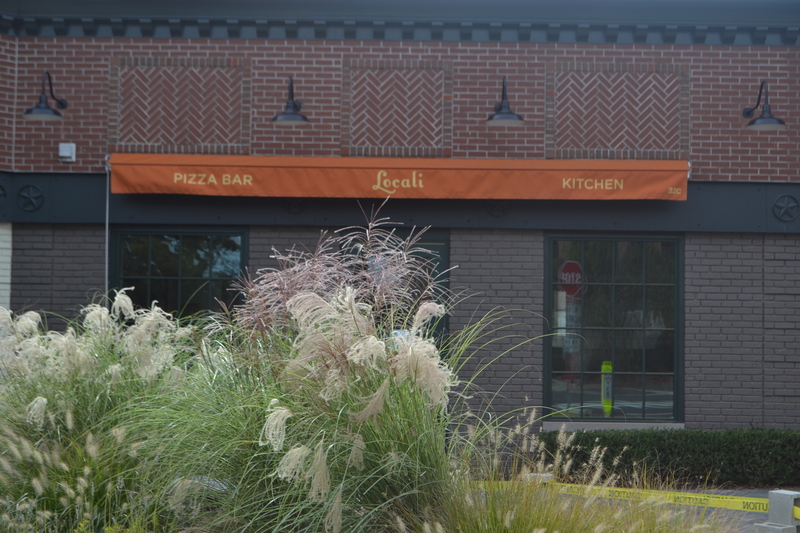 Three words to describe the outstanding cuisine that Locali Pizza Bar + Kitchen, the latest addition to New Canaan’s Restaurant Row. This twenty-eight seat restaurant / pizza bar is already making its mark on the culinary landscape of New Canaan. Executive Chef Mogan Anthony and his team are creating vibrant flavors and textural contrasts in many of their dishes, intermingled among other selections that are pleasantly soft and mild. The interior design, with a strong focus on organic materials, creates a cozy and inviting environment with guests choosing between table or bar seating. 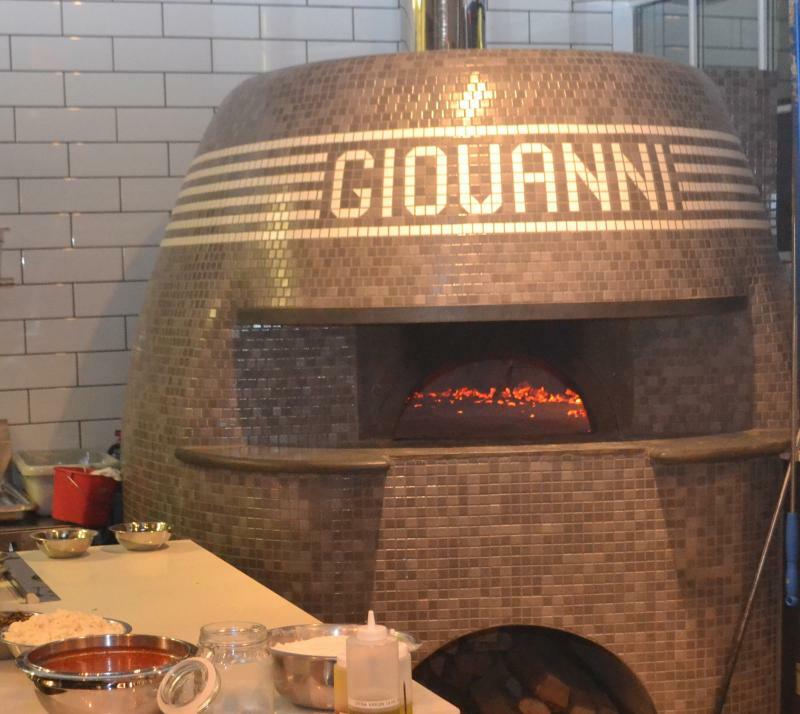 In full view of the dining and bar area is the beautiful, hand-crafted ceramic encased Stefano Ferrara wood-fired brick oven. 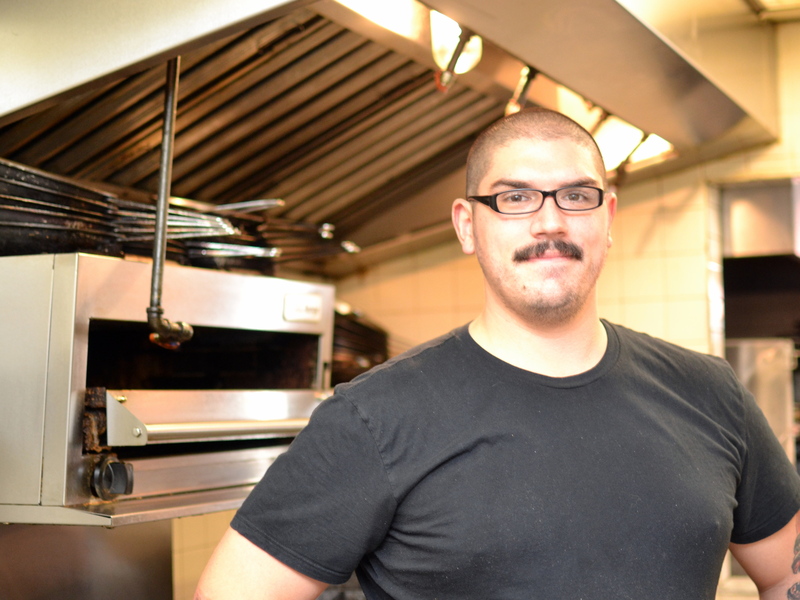 Joining Chef Mogan in the kitchen is Chef de Cuisine Ruben Liriano and Chef Antonio Legato oversees the wood burning pizza oven. Chef Mogan gained his training at the Four Seasons Hotel in Singapore and subsequently under Chef Jean Georges Vongericthen in three different locations, plus the Bedford Post and Village Social in Mt. Kisco. 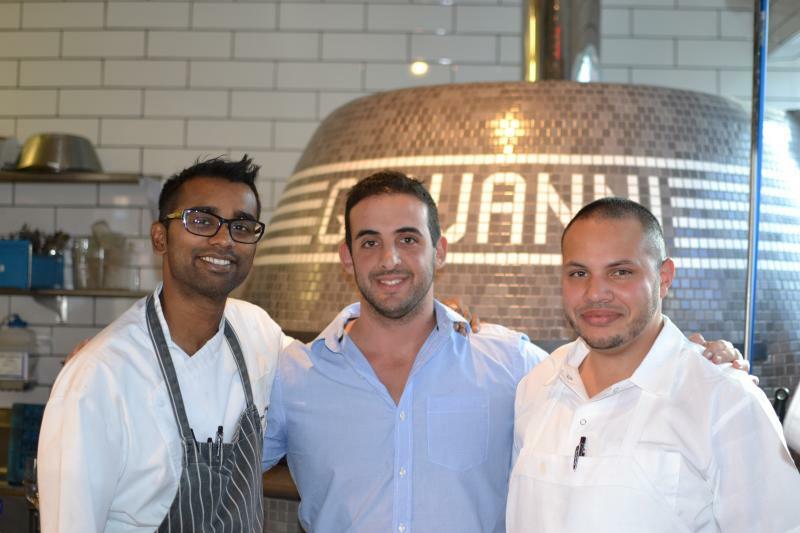 Chef Liriano fine-tuned his craft at A Voce in New York and spent six years under the tutelage of Mario Batali, most recently at Tarry Lodge in Westport.Chef Antonio is a third generation bread maker whose love for breads and pizzas started as a child. He perfected his art by obtaining APN (Authentic Neapolitan Pizza) certification, adhering to the strict standards of ingredients and methods of pizza makers (pizzaioli) for over 150 years. The menu includes a variety of small plates, larger entrées, and six pizza combinations. We started the evening with two selections from the “Vegetables” section. While both presented a high level of crispiness, they were extremely different in their respective flavor profile. The “Fried Shishito Peppers” arrived nestled in a dollop of Romano aioli and finished with sesame seeds and a sprinkling of Halen Mon sea salt. About one out of every ten Shishito peppers is very spicy (many describe eating a plate of them as spicy “Russian Roulette”) so we worked carefully through this dish…fortunately, there were no “loaded chambers” on our plate. Each of the peppers was crunchy, mild in spiciness and the aioli added a soothing creaminess while the sesame seeds added a second level of crunch and a good nutty-earthiness. 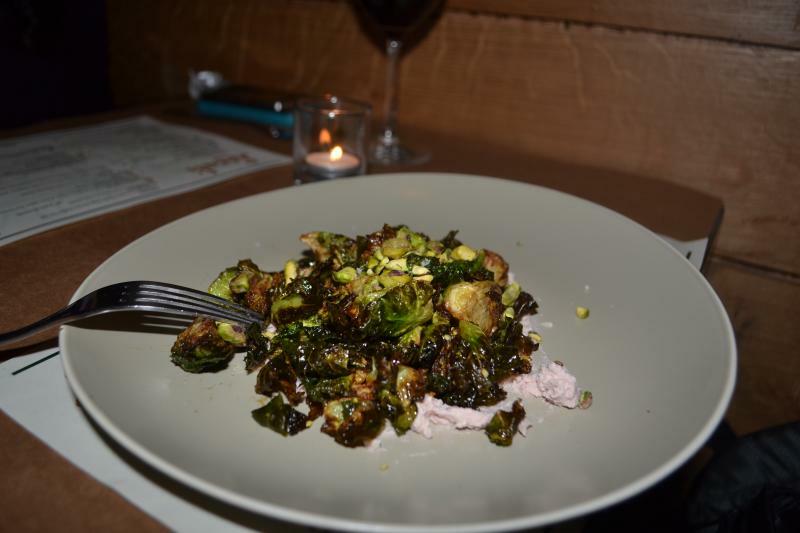 The second vegetable dish was the “Brussels Sprouts,” which was served atop Mortadella cream and Px Sherry and finished with crumbled pistachios. The Brussels sprouts were first sautéed, then the Px sherry was added and reduced to concentrate its inherent sweetness. The end product was a crispy exterior and a sweetness that worked unexpectedly well with the Mortadella cream, which added numerous flavors and a touch of tanginess. The pistachios supplemented the texture with further crunch and nutty-goodness. 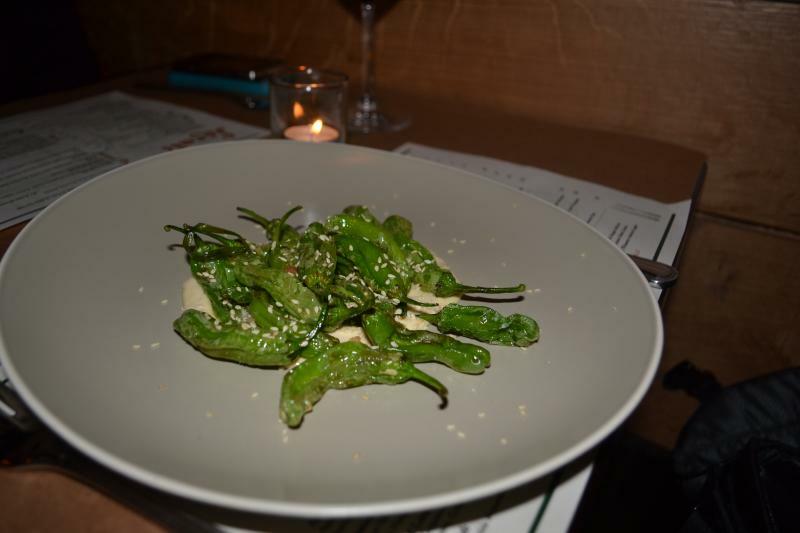 Our second round of “Small Plates” included three outstanding choices. The “Pistachio Crusted Tuna” included four slices of perfectly seared tuna sitting atop yuzu mustard, and finished with scallion sections and New Canaan Olive Oil (http://newcanaanoliveoil.com/). 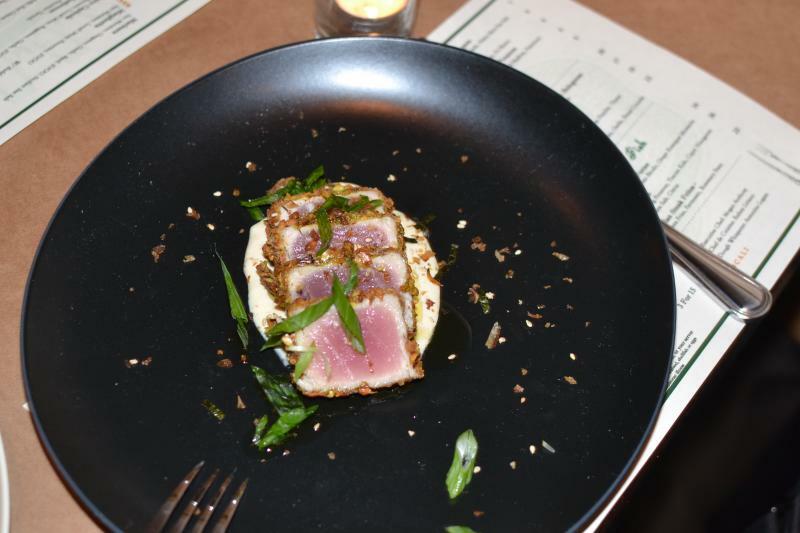 The pistachio crust was a delicious change from other crusted-tuna dishes that many restaurants are serving. The yuzu mustard was a unique combination that combined the citrusy notes of the yuzu with the spiciness of the mustard to create a fantastic combination. Meatballs are also a popular item on many menus and Locali’s “Umami Meat Balls” are outstanding. The meatballs were soft and delicious and served with cheese curds and toasted polenta. The cheese curds replaced the traditional ricotta, and offered a bit of a tangy background. The polenta was first toasted to intensify the flavors and then slowly rehydrated. The nuttiness and crispiness from the toasting of the polenta added contrasts that were a perfect complement to the meatballs. 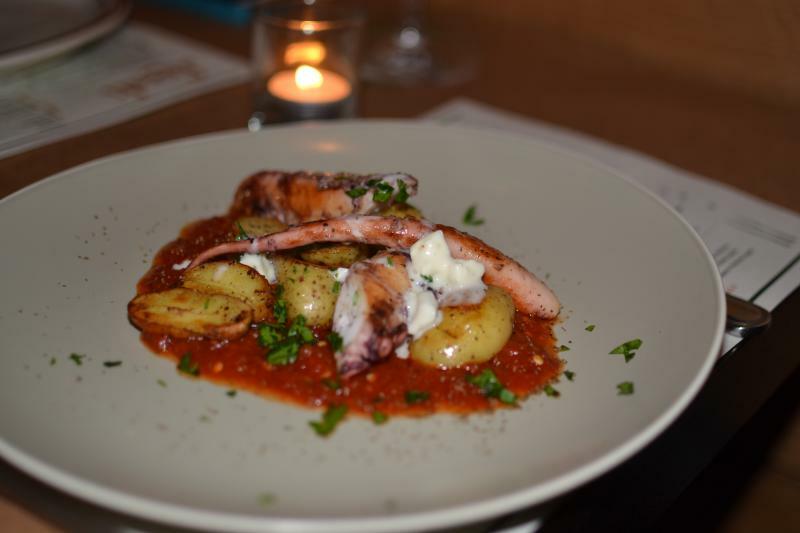 I order octopus whenever it is offered and Locali’s “Octopus Fra Diavolo” is one of the best. Chef Anthony enhanced the soft pieces of octopus with a spicy tomato sauce and then added a tangy element with the buttermilk Dolcelatte. 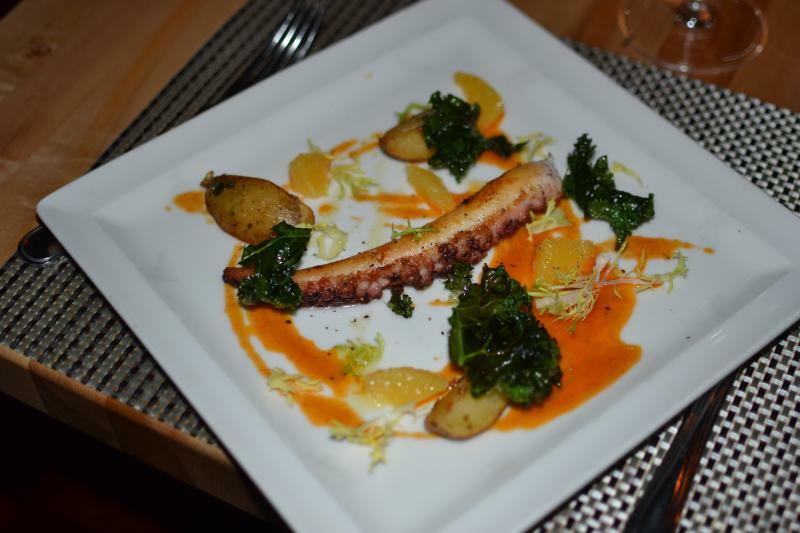 While many chefs crisp the exterior to offset the soft interior, Locali’s octopus was soft throughout. The potatoes were a nice addition and added another soft component. The octopus was outstanding. While we waited for our pizzas, Chef Ruben brought a dish that he is currently developing; Squid Ink Pasta with Squid in a red sauce. Large bowtie-shaped pasta was paired with julienned squid and served in a red sauce. This was a great combination that will be enjoyed by many as soon as it graces the menu and reminded me to include pasta dishes on my next visit. We sampled two outstanding pizzas; the toppings were exceptionally fresh and the flavors were outstanding. The “Margherita Pizza” was a traditional combination of San Marzano tomatoes, Locali (house made) Mozzarella and finished with a touch of extra virgin olive oil. The crust was delicious, the texture maintained just a small amount of bite and was nicely charred. The center of the dough was less crispy and I would expect this was the result of the newness of the brick oven continuing its curing process. 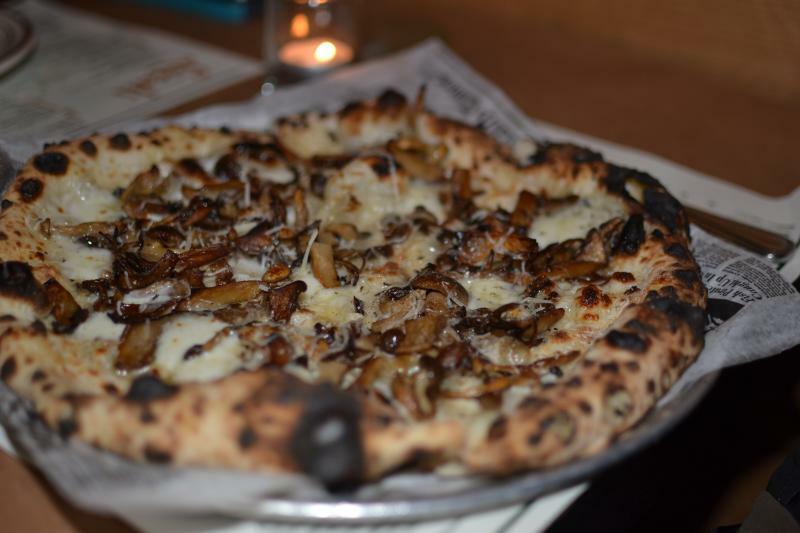 The “Wild Mushroom Pizza” was a simple combination, showcasing a variety of exotic wild mushrooms accented with garlic and combined with Locali Mozzarella and Pecorino Tartufu. The mushrooms delivered a wonderful earthiness and the garlic and cheeses were perfect complements to the pizza. And when the server approached and asked if we would like dessert, we chose two, the “Salty Caramel Pie” and the “Tiramisu.” The desserts were all created by Chef Mogan’s wife, Seleste Tan, who formerly worked at wd50 in NYC and the Four Season Hotel in Singapore. 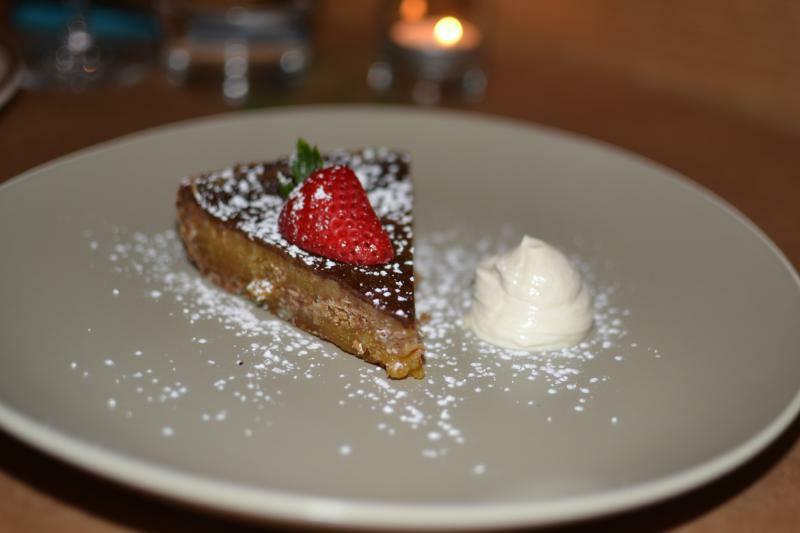 The salty caramel pie was a tribute to sweetness and textures. The filling was a smooth caramel-custard and the crunchy crust was a perfect complement to the sweetness of the filling. It was served with a little whipped cream, a slice of strawberry and dusted with powdered sugar. We enjoyed the “Tiramisu,” which was served in a large glass. This was a light and creamy rendition, with rum as the primary flavor. Both of these desserts were delicious. 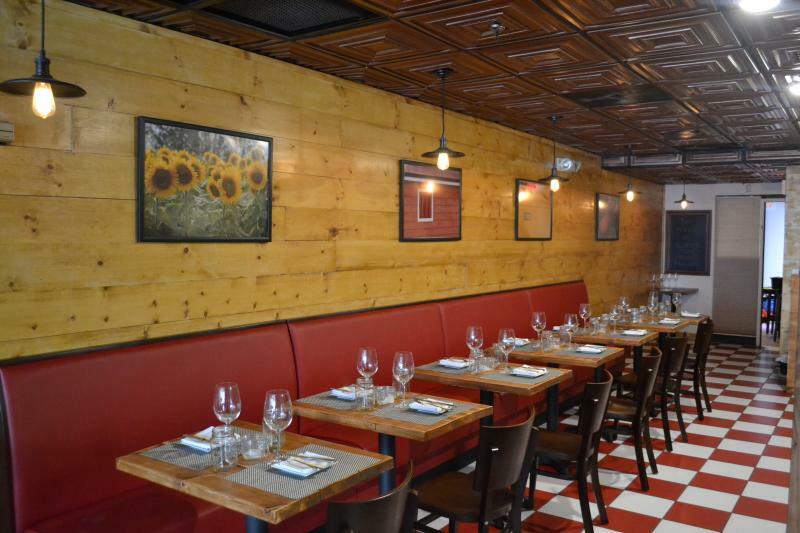 Locali is a tremendous addition to New Canaan’s Restaurant Row. The food presents an array of flavors, from mild and mellow options to tantalizing choices with bold and complex combinations; each work well in highlighting the flavors of each of the ingredients in the dish. The pizzas are delicious, traditional Napolitano thin crusted gems that use the freshest ingredients to showcase their natural flavors. 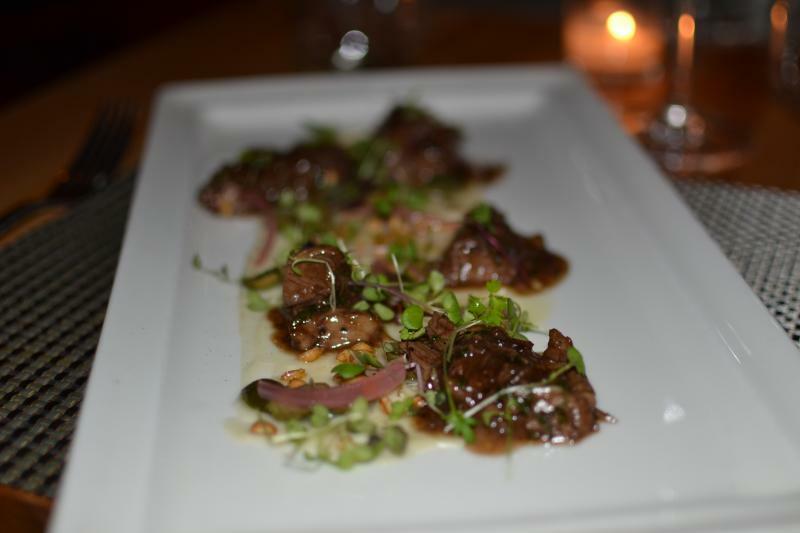 The food and vibe at Locali are fantastic and this will be a go-to restaurant in New Canaan. The Connecticut Sandwich Company opened at 78 Pine Street across from Zumbachs in the space formerly Tony’s Deli (moved across the street). I ordered a Pork Kimchee Sandwich (Roasted Pork, Kimchee and Garlic Dijonnaise) on a Wave Hill roll. First impression was the place has great potential. The roasted pork was pulled pork, perfectly cooked but a little over-salted. I could not find the kimchee but there was a good spiciness to the meat and when there was some garlic dijonnaise in a bite it was delicious. The choice of Wave Hill was the right one. Lighten the salt and play with the ratios and this will be a great sandwich. 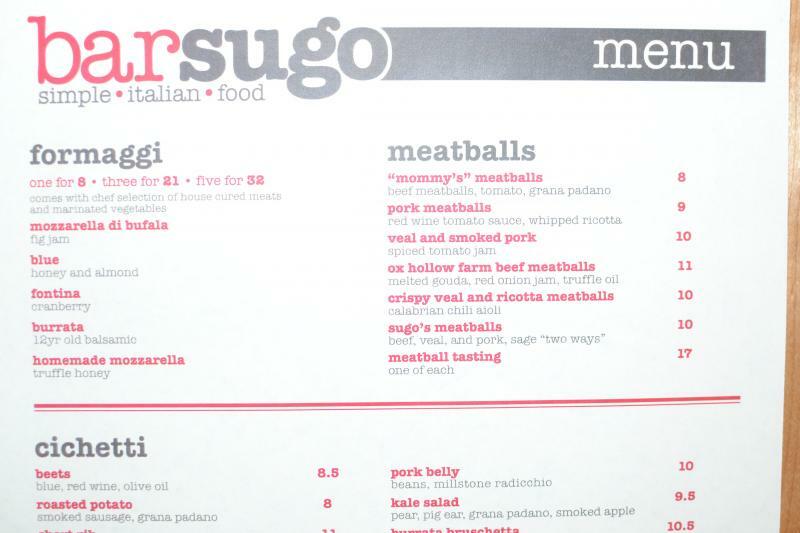 Slightly more than a year ago, restaurant Bar Sugo opened on Wall Street in Norwalk featuring a variety of owner/Chef Pat Pascarella’s fantastic pizzas, meatballs and delectable pastas. Pascarella recently handed the reins of the day-to-day culinary oversight to Chef Paul Failla, and CTbites re-visited to taste Chef Paul’s cuisine and his creative spin to the menu. Chef Faillia attended the Culinary Institute of America in Hyde Park before accepting a position at Burger Bar in South Norwalk. His culinary training continued at Dolce in Norwalk, The Atlantic Grill in Manhattan and The Saltwater Grille in Stamford, where he met Pascarella. He subsequently worked with Chef Dan Kardos at The Whelk and was one of the opening chefs with Chef Kardos at NOLA Oyster Bar. When Pascarella first approached Failla about joining Bar Sugo, he was looking for a successor to continue his vision of “food that Italians eat every day” while allowing the new chef to add his individual flair to the dishes. Chef Paul accepted the challenge and he is already placing his mark on the menu, focusing on Italian small plates. Guests create their meal from a selection of cheeses with house-cured meats, Bar Sugo’s meatballs (a few modifications are already appearing), up to twenty Cichettis (small plates), six pastas, or one of six brick oven pizzas. He told CTbites, “We will change several items on the menu on a weekly basis.” After an initial visit Chef Paul is succeeding in presenting delicious and full flavored selections. 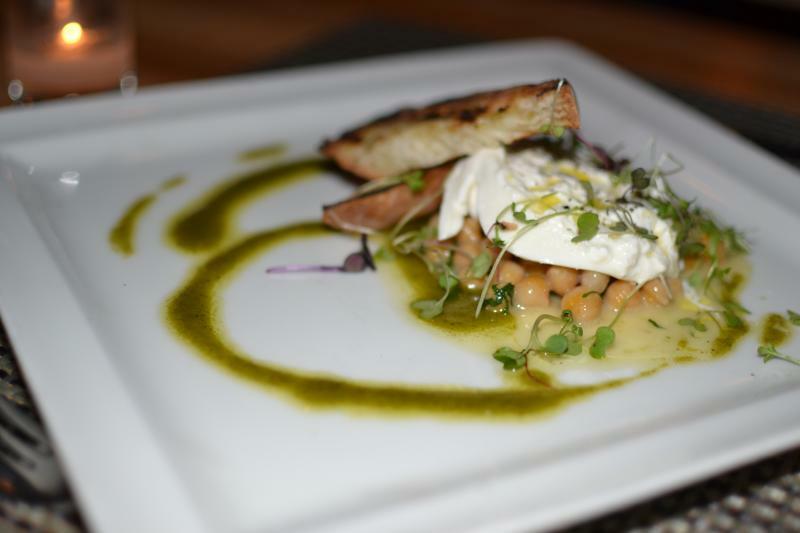 The “Burrata Bruschetta” was served atop stewed garbanzo beans, arugula pesto and topped with toast points. The Burrata was ultra-creamy and mild in flavor and the Garbanzo beans added a touch of earthiness and a bit of a bite in texture. The highlight was the arugula pesto that added a little saltiness and nuttiness from the Parmesan cheese. 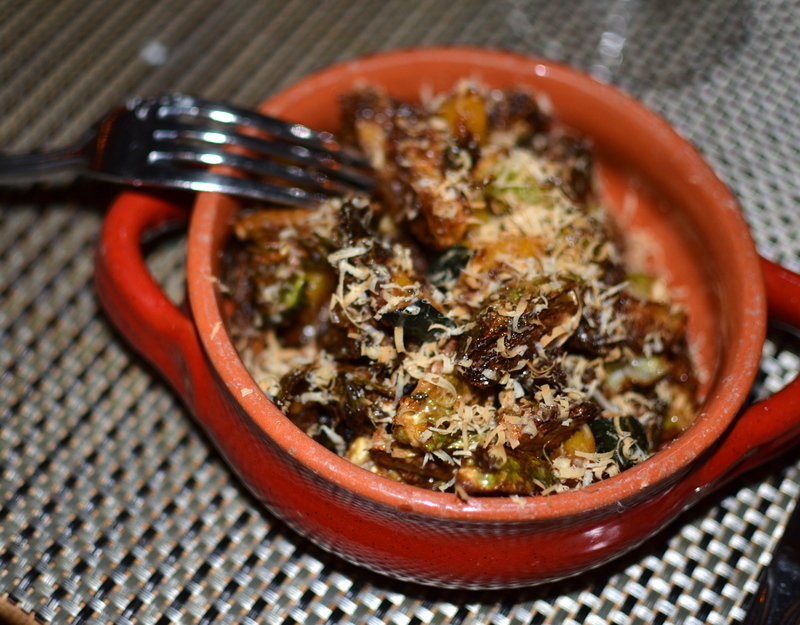 Bar Sugo’s “Brussel Sprouts” was paired with chunks of squash and sautéed with sherry and truffle honey, which created and crispy caramelized exterior. The Brussels sprouts were “like candy,” sweet, crispy and incredibly delicious. This is a great choice to share amongst your group. The “Octopus” was presented with orange segments, potato wedges, and kale chips, all coated with a harissa infused sauce. The octopus was soft on the interior with just a slight crispiness from the kitchen finishing the presentation on the grill. The octopus was flavorful and the orange segments added a little sweetness and offset the spiciness of the harissa. The kale chips added a little textural contrast but the seasoning was slightly uneven with one receiving all of the salt while the others were missing any hint. I enjoyed two of the meat options. The “Short Rib” was served atop celery root puree, plus a few fried oysters (not normally included but some local oysters arrived from Norm Bloom earlier in the day). Unlike many other wine-braised short rib preparations, Chef Paul veered slightly from the norm and developed an interpretation of a traditional English combination. The celery root was accented with a horseradish crème fraiche that was a tangy and enjoyable balance to the richness of the beef, creating a modified English Beef with horseradish sauce. The addition of the fried oysters was strange and was more confusing than complementary. 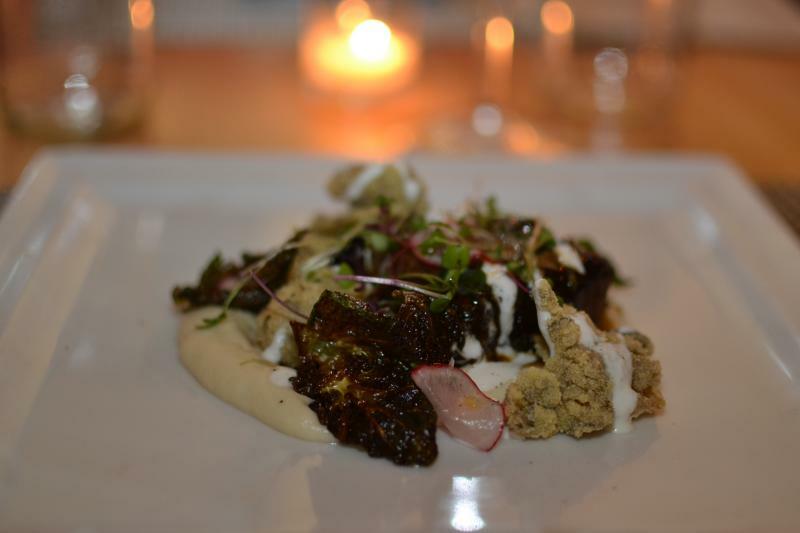 The “Millstone Lamb” was served over a puree of smoked sunchokes, bacon olives and crispy faro. The meat was exceptionally tender and flavorful and the puree added a mild earthiness to the dish. The crispy faro added a surprisingly delightful crunch. This combination was fantastic. Chef Paul saved the best for last and a special call-out is required for his “Spaghetti Neri,” one of the best pasta preparations I have tasted. 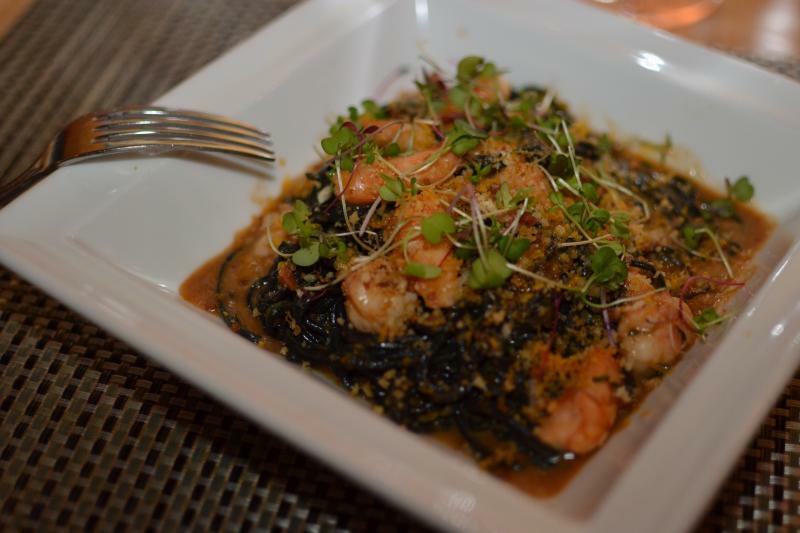 The squid ink pasta was served in a smoked tomato sauce with shrimp, and topped with bread crumbs and Bottarga. The pasta was perfectly prepared to al dente and the mild smokiness and spiciness of the tomato sauce was delicious. The entire presentation was elevated with the addition of the Bottarga, salt-cured fish roe that added a brininess to the dish that was fantastic. The shrimp were cooked perfectly with a slight crispiness to the exterior and a soft interior. 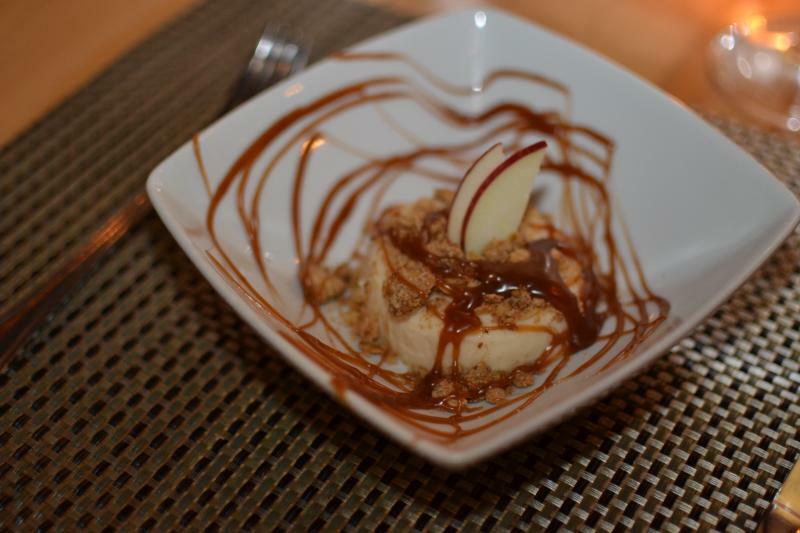 Chef Paul prepared an “Apple Panna Cotta” for dessert, topped with an oatmeal streusel and finished with a drizzle of sweet caramel sauce. The apples were first steeped with cinnamon, which created a very mild apple flavor, I would have preferred more from the apple. The streusel added a great crunchiness to the dessert and the caramel sauce was delightful. This was a great way to end the meal. Moving into the second year of business, Chef Paul Failla is elevating the culinary scene to an otherwise challenging location nestled between stores with similar signage. Once inside, the vibe is alive. The food is exciting and the prices allow for a reasonably priced dinner for a couple or shared plates for a family that will not break the bank while enjoying great company. 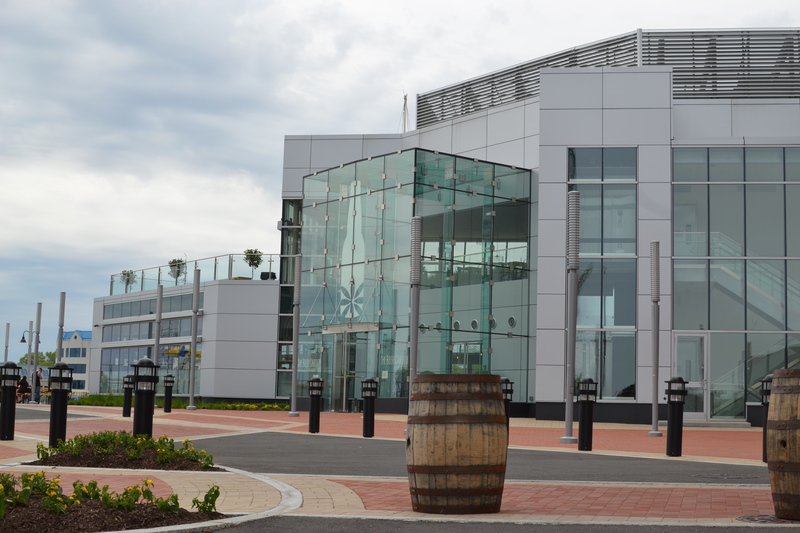 Unfortunately the idea of a beer hall with no food has come and gone. The Beer Garden in Stamford has closed.